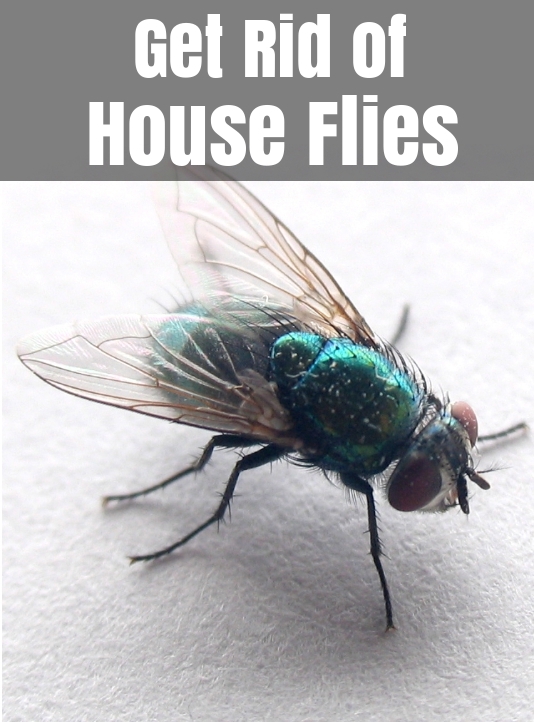 Get Rid of House Fly :Flies are insects which are more than just a mere nuisance. The fact that they like cozy and warm indoors, makes it difficult to get rid of flies from our houses. No one likes flies and now that you are here, you are surely one of them. Fortunately, we figured out just the ways to end this nuisance. Here are a few easy and natural ways to get rid of flies with ingredients readily available at our homes. Lemongrass oil can be used effectively to make a fly repellent spray that also works as a room freshener. Its strong aroma enhances its insect repellent properties. Other essential oils like Lavender oil, Eucalyptus oil, or Peppermint oil can also be used in the absence of Lemongrass oil. However, try to use lemongrass oil for best results. Also read: How To Get Rid Of Bed Bugs At Home? Cloves are known to have a strong smell, which effectively works in getting rid of flies. Take a lemon or two, depending on the area where you want to work on. Cut the lemon into two parts. Then, you can place them on a plate at your dining table or coffee table. Alternatively, you can also have clove oil sprinkled on top of the lemon cuts. FYI, it is claimed to work better than solid cloves. It is an excellent homemade repellent that works mostly against houseflies. Following are the ingredients needed to make this repellent. Mix few spoons of witch hazel, apple cider vinegar and eucalyptus oil. If you do not have eucalyptus oil you can also use lavender oil or peppermint oil. Mix all these ingredients together and voila! Your homemade insect repellent is ready. You can apply this on your body. Please do not let this solution enter your eyes or mouth as it may cause irritation in eyes or vomiting if swallowed. Camphor is very good at repelling insects and flies, owing to its strong smelling vapors. The smoke that is emitted on lighting up camphor is also effective in getting rid of flies and other nasty insects. To try this method, light some camphor, preferably in a clay plate or container and let the smoke spread in your house. If you are not comfortable with the smell of camphor, you can place the camphor tablets in a bowl of hot water and place a few of such bowls in various corners of the house. It is essential to keep kids and pets away from camphor as it may be harmful for them. Basil is known for its medicinal properties. It is anti-bacterial and anti-inflammatory in nature. Flies do not quite like the strong scent of basil leaves and that makes it a very good ingredient to repel flies. Planting a basil plant near your house will help in keeping the flies away. If you’re unable to plant it, get some dried basil leaves and its seeds and tie them up in a thin cloth. Then place this bundle at the fly-infested areas in your house. Generally, commercial flypapers available in the market are coated with toxic chemicals, fragrance and sticky substances. The method mentioned below utilizes homemade flypaper that is made of natural and non-toxic materials, making them more cost effective and convenient to use around kids and pets. Cut a hard board or chart paper into 2-inch wide strips. Tie strings to both the end. In a container, mix two heaped tablespoons of corn syrup and 2 tablespoons of sugar. Coat one side of each strip with the mixture and hang them at the fly-infested area. You may then dispose these strips at a distance away from home. Cucumber is yet another natural ingredient that helps to get rid of flies. You can cut cucumbers into thin slices or you may also use leftover cucumber peels if you have any. Place either of these around the house to keep flies away.This remedy is absolutely hazard free for kids and pets. For this method, you will require a deep bottomed glass jar, a rubber band, some durable plastic sheet and a few rotten, or almost ripened fruits. Place these fruits in the jar and cover the top with a plastic sheet, snapping it with a rubber band. Poke holes in them so that the flies can find their way in. They will get in, but will find it difficult to come out of it. You may either chose to release them at a distance far from your home, or drown the jar in warm soapy water and let is soak in there for about 30 minutes. This will suffocate the flies and kill them. As strange as it may sound, flies also get drunk and are easily drawn towards red wine. You will need just a little bit of red wine in a tall, narrow mouthed bottle. You may also choose to use red wine vinegar. Keep the mouth of the bottle open. The flies will continue to drink and knock themselves unconscious in the bottle. You may choose to spill the liquid with flies at somewhere distant from your home or use the warm soapy water method again to drown them. 10. Using Clear Plastic Water filled bags to get rid of flies. Flies are known to have a compounded vision. Placing a simple plastic bag filled with water can give them the view of light being reflected from all sides, which flies deter and prefer to stay away from. This method is excellent only when used during the day, in broad sunlight. Getting rid of flies on a permanent basis can be quite a task. Here are some general tips to keep these insects at bay. Keep the garbage bins in and around the house covered. Dispose the wet waste from the kitchen as soon as possible. Try to avoid leaving dirty dishes after meals in the sink for too long. Cover food items always as the smell of food attracts flies. See to it that your toilets are clean and there is no stagnant water near your house. Keep the whole house clean and use disinfectants. Use wire mesh on your doors and windows. Use electronic fly bats to get rid of flies in smaller quantities. Do you know of any other home remedies on how to get rid of flies other than the ones mentioned above? Do let us know. Also, please share your experience with the above mentioned remedies.